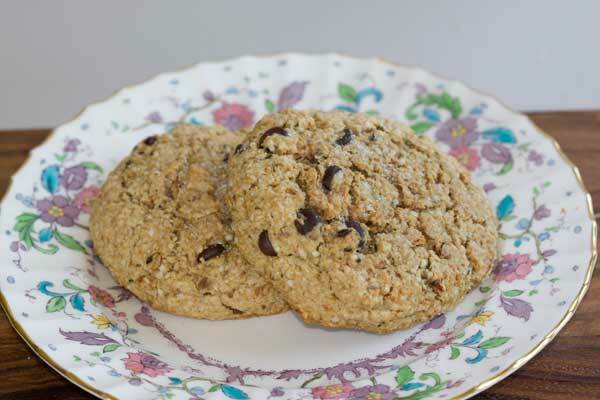 Last night while re-reading Dreena Burton’s Vive le Vegan!, I came across a recipe called Squirrely Scones. I’ve passed it up dozens of times and don’t know why, considering the ingredients are things we keep around the house and that we love scones. So this morning, thinking I’d surprise the family, I made a batch. Wow, these were different. I didn’t have all the things on Dreena’s ingredient list and had to make some substitutions, but the scones were fine and I’d probably make them again the same way. I’ve typed up my version, but if you don’t have Vive le Vegan! and want the recipe, you can find a “closer-to-the-original” version on Ashley’s blog or with a Google search using the term “Squirrely Scones”. My granola version is below. The scones are round and have a shell, but the inside texture is light and crumbly like a muffin. The chocolate chips really make the scones in my opinion, but I think they’d also be okay with butterscotch chips. In a large mixing bowl, combine the ground oats, flour, baking powder, baking soda, salt, sugar, granola, and hempseeds (if using). In a second bowl, mix the flaxseed and milk and stir very well. Stir in the coconut oil, maple syrup and vanilla. Add the milk mixture to the dry ingredient and stir until blended, then stir in the chips. The batter starts out loose, but as it sits the oats absorb the moisture and it is very easy to work with. Shape the dough into 6 balls and space them evenly on the baking sheet. Press down the tops so that they are mounds rather than balls. Bake at 350 for 22-25 minutes or until edges are brown. Let cool and serve. 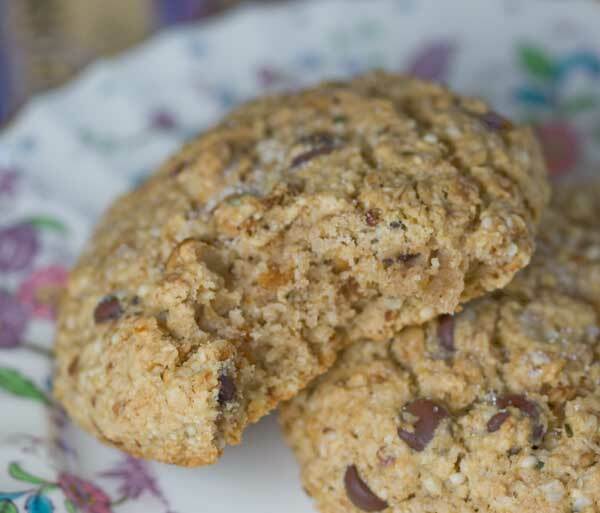 I was pretty disappointed the last time I made vegan scones–not that recipe, but one from another well-known vegan blogger. I think you need to be prepared for the fact they won’t have that moist, dense quality of ‘real’ scones.